Several vignettes about kids and books have been pin-balling about my head for months, but two things this week got the mojo going: a goofy T-shirt and a fake mustache. You only get one this time, though. I’m intent on cleaning up the hell holes around the house and the other night I came across a small bright purple T-shirt. Size 7. It was covered with colorful buttons, shiny Mardi Gras coins, pipe cleaners and assorted gunk from the craft bin. All this was attached with miles of masking tape. What used to be a sock was stuck to one sleeve. 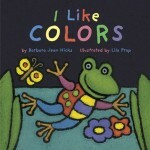 The toe was cut off and the rest was completely covered with many colors of washable marker. It used to have a mate and had been worn as a cuff. I seem to recall that the ensemble included an old fedora covered with pipe cleaners. The Small Large Smelly Boy, also known as Felix/Martha, had created this wild get-up with the gleeful abandon of a small boy intent on winning a contest. His Aunt Barb was in town. She was one of the few people in the world who saw him the day he was born. She cared for him sometimes when he was a pudgy baby. 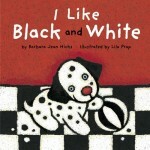 She had since moved to another city and had created a couple of board books, I Like Colors and I Like Black and White. We were throwing her a Black and White party to celebrate them and give her a chance to invite her many friends to say hello. We served only black and white foods — chocolate and vanilla layered cake, olive tapenade,Â cheese and either I can’t remember the rest or our pickings were slim. Aunt Barb challenged everyone to wear either black and white or something really colorful and the winner with the best costume in each category would receive a signed copy of one of her books. Mr. Scatter wore a tux. Many people came and went and most clearly hadn’t been lured by the chance to win a book. They looked ordinary. The cake grew smaller and as the party wound down just a handful of friends remained — all adults and the two not-so-Large Smelly Boys. I’m sure there were two, but when it comes to that afternoon, I remember only one. Aunt Barb, who had been lost all afternoon in conversations with many fond friends, suddenly remembered the books. It was the moment Mr. Hardly Could Stand It had been waiting for — and really the only reason we couldn’t just forget about the contest. Not having given it much thought beforehand, Aunt Barb quickly improvised how the contest would work. Participants had to stand in a line and the one with the loudest applause would win. The black and white contest was first. The adults felt a little awkward and duty bound and the ones suitably dressed had to be coaxed to stand. I don’t remember whether Mr. Tux won or not. Then everyone with a colorful outfit needed to stand in a line. Everyone looked at Felix/Martha, who was slightly embarrassed by the attention. He didn’t want to appear too eager but he didn’t want people fussing about him to stand either. He finally couldn’t hold back anymore and jumped up. He was the only kid. The adults immediately begged off. They made noises about his adorable outfit and murmured that there was no way they could compete. Because, really, who could take a prize board book away from an eager 7-year-old who had obviously worked overtime on his costume and really wanted to win. No one was going to be a bad person. Felix/Martha stood up there by himself, undeniably proud of his costume, a little uneasy about being in front of everyone and carefully restraining his anticipation for the moment that he had looked forward to for hours. He cautiously looked around, both excited and unsure. We were all ready to start clapping and make him king and hand him the book and say good job. We were ready to be done with it, hopeful for him, relieved that we didn’t have to stand there, too, and happy that we could give him what he really wanted. He was adorable and he deserved it. Case closed. But one guy suddenly jumped in. He wore a tie-dye or a Hawaiian shirt or something suitably garish just for the occasion, or at least I hope it was for the occasion. We had a race. At first everyone was sort of puzzled. How could anyone try to take a prize away from a kid? And then it collectively dawned on everyone. This guy was way ahead of us. It wouldn’t be a contest if there wasn’t any competition. The prize wouldn’t be nearly so sweet if it wasn’t hard-earned. The clapping began. It was loud for Felix/Martha, though it was really loud for Mr. Garish Shirt, too. People gasped and worried about who might win. It was nip and tuck. After much debate, we all agreed that it seemed just a tad louder for Felix/Martha, though we all also agreed it was almost equally loud for Mr. Garish Shirt, but not quite. Felix/Martha beamed with great pride and a bit of shyness when the book was presented to him. Mr. Garish Shirt seemed really disappointed but was gracious about losing and shook the winner’s hand. Mr. Garish Shirt was Bart King, who had recently come out with The Big Book of Boy Stuff and was still little known. Since then he’s become Bart King Inc. with The Big Book of Girl Stuff, The Big Book of Gross Stuff, The Pocket Guide to Boy Stuff, The Pocket Guide to Girl Stuff,Â The Pocket Guide to Magic, The Pocket Guide to Mischief, The Pocket Guide to Brilliance and The Pocket Guide to Games. 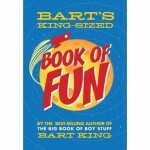 His latest, Bart’s King-Sized Book of Fun, is due out in September.